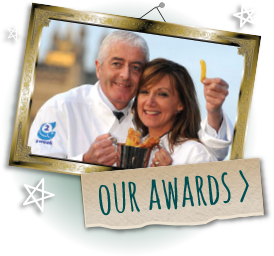 Anstruther Fish Bar and Restaurant’s place in the premier league of Scottish eating experiences has made our harbourfront location a destination in itself. 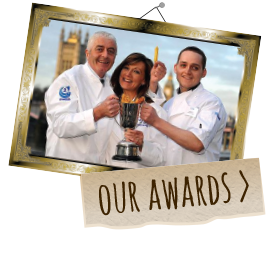 We’ve lost count of the number of nationalities who have savoured our award-winning, locally sourced seafood, and we’re delighted that many regular customers make a long journey to enjoy the Anstruther Fish Bar experience. But there’s plenty more on offer in the East Neuk to keep visitors occupied, entertained and interested. ‘Neuk’ is an old Scottish word for ‘corner’ and, in this unique corner of the Kingdom of Fife, you’ll discover a string of beautiful, traditional fishing villages bursting with character. It’s easy to find Anstruther Fish Bar and Restaurant. We’re well signposted from local main roads and sit in a prominent position immediately opposite the picturesque harbour at Shore Street, Anstruther. If you’re using a satnav, punch in our postcode KY10 3AQ. There’s lots of parking nearby. Anstruther itself is the largest of the East Neuk villages, and home to the Scottish Fisheries Museum – a must-see attraction within a stone’s throw of the Anstruther Fish Bar and Restaurant. 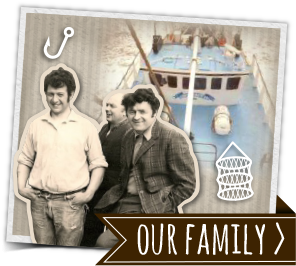 This national museum charts Scotland’s fishing heritage through the ages with unique collections of historic fishing boats and gear, and fascinating insights into the lives of fisherfolk from the East Neuk and beyond. 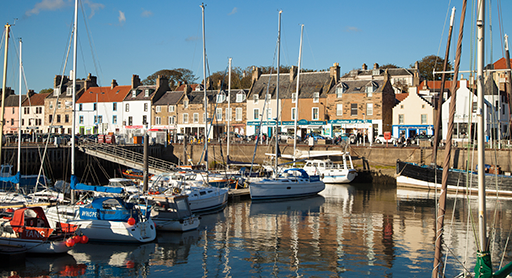 Anstruther Harbour and Marina – popular with yachters, fishermen and pleasure boaters – is surrounded by interesting small shops, galleries, pubs and eateries, and offers day trips to view the internationally important natural treasures of the Isle of May. Just along the coast, Pittenweem offers a wonderful mix of the old and the new. Its strong fishing heritage is evident, and its lovely harbour still bustles with working boats. Yet recent years have seen a flowering artistic community, drawn to the East Neuk’s picture postcard streetscapes and renowned quality of light. The annual Pittenweem Arts Festival draws tens of thousands of art-lovers to browse through the galleries of arts and crafts on display in houses and venues throughout the village. 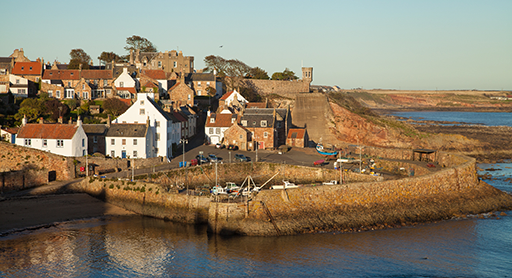 With their pan-tiled cottages, winding lanes and welcoming dispositions, Crail, St Monans and Elie very much fit the East Neuk bill, offering scenic walks, picturesque harbours and delightful days out for those in search of a break from the rat-race. The area is also a golfer’s paradise. Barely a pitch and putt away from St Andrews, the historic Home of Golf, the East Neuk offers a variety of top-quality, accessible courses to delight and challenge all abilities. 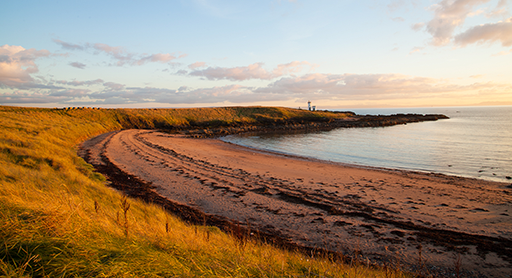 Find out more about the East Neuk – and the wider Kingdom of Fife – at VisitScotland. 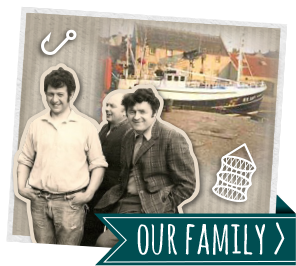 During the heyday of the Scottish fishing industry, Anstruther harbour was so busy it was possible to walk right across it from boat to boat without getting your feet wet! In 1588 a stricken ship from the fleeing Spanish Armada limped into Anstruther harbour. The 270 desperate sailors were given warm hospitality by the villagers before they sailed safely for home.